The Iridium GO! 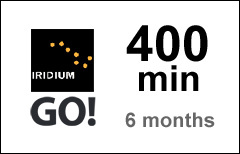 400-min airtime voucher refills your existing Iridium GO! prepaid account.